Today’s marketing with social media is exploding. Using YouTube to create marketing videos is becoming more and more popular. But the question remains, what do I do to get increase views on YouTube? You researched well, you put in the perfect tags, perfect title, and you write a great description for your video. You spent hours and hours promoting on your Twitter page and Facebook, but still your video does not seem to be getting the recognition that it deserves. First thing to remember is that it takes time to build a following. There is no guaranteed method to creating an overnight success. 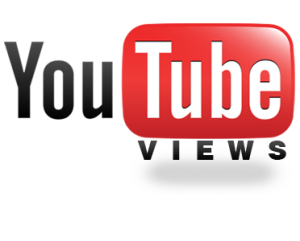 Here are some great tips to help you get started in a direction you need to increase video views on YouTube. The first thing to think about is to make use of the annotations tool that YouTube offers. Annotations are those little bubbles that pop up on people’s videos that have text in them saying things like “subscribe”. Annotations are a great way to help increase the views of your video. By using annotations you can get one video to link to another video and help create playlists for your videos as well. You can also link your channel and much more, this will help compel your viewers to want to watch more videos from you. The next thing to think about is getting subscribers. Subscribers are absolutely the best way for you to get more views on YouTube. People that you can get to subscribe and become part of your fan base are always waiting and watching for your next upload so that they will be able to check them out. The more subscribers you have, the more your views will increase. When you have subscribers, each time you upload a new video it shows up for them on their page, or they are notified by email that there is a new video. By having this happen, people are more likely to subscribe and click through for future videos. Bulletins are also a great way to keep up communication with your subscribers. As your subscriber-base becomes larger you really need to communicate with them. Bulletins are one of the easiest and best ways to do this. Each time you upload a new video you should send a bulletin out to your subscribers so they are notified. Making use of a playlist is also a great tool. Most people do not realize that using their playlists are a great way to help increase your video views. Your playlist consists of a group or list of videos that play in order one after another. The great advantage of playlists is that they will come up in search results separately listed. This provides your viewers with more opportunities to find your video when they are doing a search. They can choose to watch one video or they may choose to watch your entire playlist. Another advantage of the playlist, is they play one right after the other automatically, so viewers tend to watch more of your videos at one time. This is great for getting increased views all across your channel. Playlists can also be embedded which gives you the opportunity to provide viewers on your website or blog the opportunity to watch your videos as well. These are just some of the simple things that you can start to implement to help to increase your overall video views.